Homelessness is a serious issue, and you can help The Green Law Firm by liking our Facebook Page. 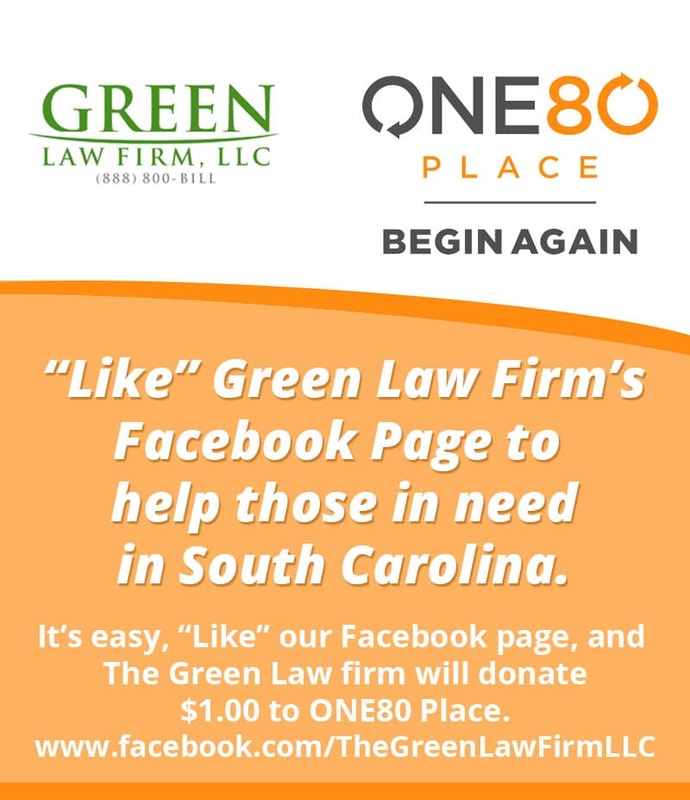 The Green Law Firm will donate $1.00 for each LIKE in the month of June. One80 Place provides food, shelter, and help end homelessness in Columbia, and North Charleston, one person at a time, one family at a time. Not only will they gain food and shelter, but also gain access to skills and resources needed to move beyond homelessness.